A true ode would be in verse and I toyed with the idea, quickly abandoning it in order to spare the reader. Yet, the feeling behind the thought is very real—the desire to pay a special kind of tribute to something so new and so valuable, both for writers and readers. My first book in the Faith Fairchild series, The Body in the Belfry, came out in 1990. I was dependent on word of mouth, St. Martin’s sales force (wonderful!) and conventions, particularly Malice Domestic, to reach people who might like to read the book. I began to receive and reply to snail mail. 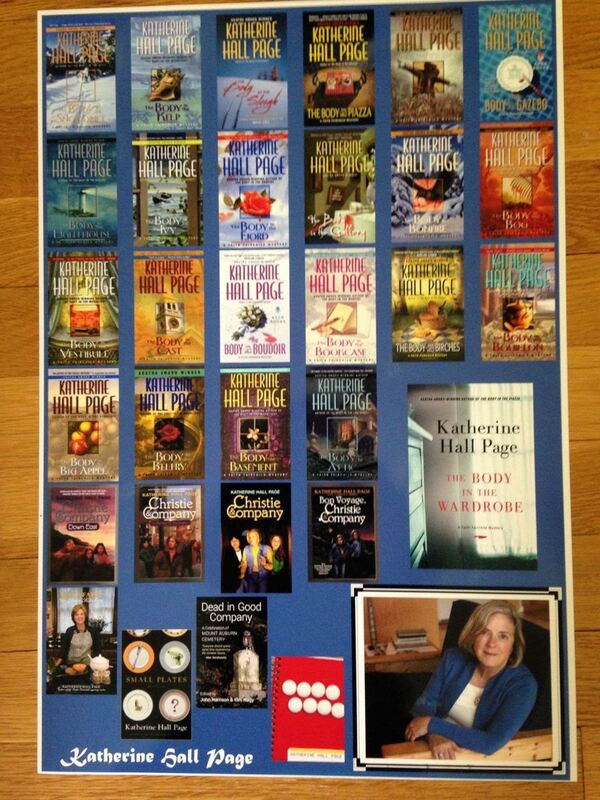 Over the years thanks to all the above, and especially thanks to independent bookstores, I did build a readership. I was and am not a Luddite, particularly with a son in IT, but I could never have envisioned using my keyboard for the kind of opportunities to connect with readers blogs afford. Quite simply, I love it. Being asked to write a guest blog, with or without suggested questions, always makes me pause and think about what I am writing and what I have written. It’s a stock taking time. And yes, blogs have improved sales, particularly for eBook versions, but all across the board from hardcover to audio. Blogs are very personal. I feel as if I have gotten to know each individual blogger over time. I am always pleased that they like the books—happily all still in print—enough to welcome me into their own corner of cyberspace. I read blogs and discover new authors. What goes around comes around! I am currently working on The Body in the Casket, which is a bit of an homage to the British country house mystery. Faith is catering a long weekend birthday bash thrown for himself by a famous, now retired, Broadway producer. It will be out in Fall 2017. Meanwhile I have been gratified at the response to The Body in the Wardrobe, set both in Aleford and Savannah, Georgia with a major role played by Sophie whom readers met in The Body in the Birches. The mass market version of Wardrobe goes on sale soon, in December. So blog on, dear bloggers, with many thanks and best wishes! People often ask me what I attribute my success as a self-published author to and I always answer without a doubt that it is the people in my life, my team so to say, that have gotten me to where I am today. There is a saying about it taking a village and I can state with absolute certainty that this is true. 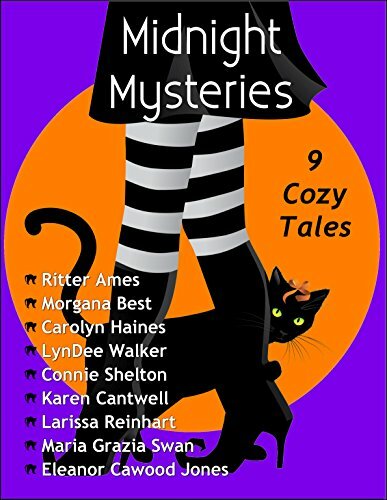 While there are many people on my team, each who serve an important role, some of the most important people I work with day in and day out are cozy mystery book bloggers. When I first started out as an author three years ago I was so very, very, green. I had a Facebook account with a handful of family members as friends, but I had never taken the time to learn Twitter and had never even heard of Goodreads. 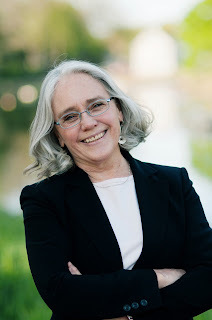 I was lucky during my first month as an author to meet a book blogger named Amy Brantley who took time out of her busy life to show me the ropes and introduce me to the world of social media. Shortly after I met Amy I managed to get hooked up with Lisa Kelley from Lisa K’s Book Reviews. She was more than happy to not only promote my work but also to introduce me to other bloggers such as Linda Langford from Chatting About Cozies, Kathleen Kaminski from Cozy Up with Kathy, Jenna Czaplewski from Girl with Book Lungs, Shelley Giusti from Shelley’s Book Case, and many others. Of course once I got started in social media I took the bull by the horns and went a bit social media crazy. 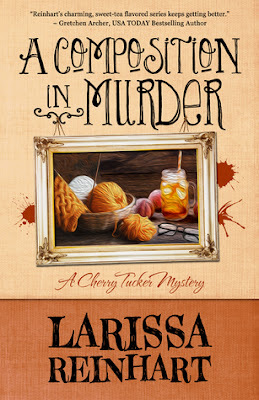 I began sponsoring scavenger hunts, murder mystery parties, book and swag giveaways, and of course my Halloween Spooktacular, which this year featured over 50 authors and seven book bloggers including Lisa, Jenna, and Kathy, as well as Brooke from Brooke Blogs, Karen from A Cup of Tea and a Cozy Mystery, Mary form MJN Reviewers, and Millie from A Touch of Romance Book Club. The number of bloggers in my life has grown to the point where there are too many to mention in this one article. I do however have to give a special shout out to Lori Boness Caswell who put together a spectacular launch tour when my first set of books published by Henery Press were released in September, and Dru Ann Love who has been offering guidance and support from the beginning. I would love to do a giveaway. I usually offer a Kindle or Paperback copy of the book – winners choice – NON US winner Kindle only. I would like to thank Paula for letting me express my thoughts on her blog today. I have two blogs, a Facebook Author account, a Twitter account, a Linked In account, an Instagram account and a Pinterest account. I belong to numerous reader groups, so I can tell readers about my books. I am signed up on other websites that promote my books. The list is endless, but I find the blog a critical key to reaching out to others as an author both by my blogs and being a guest on other's blogs. I didn't know much about blogging when I signed my contract with Cozy Cat Press in 2012. 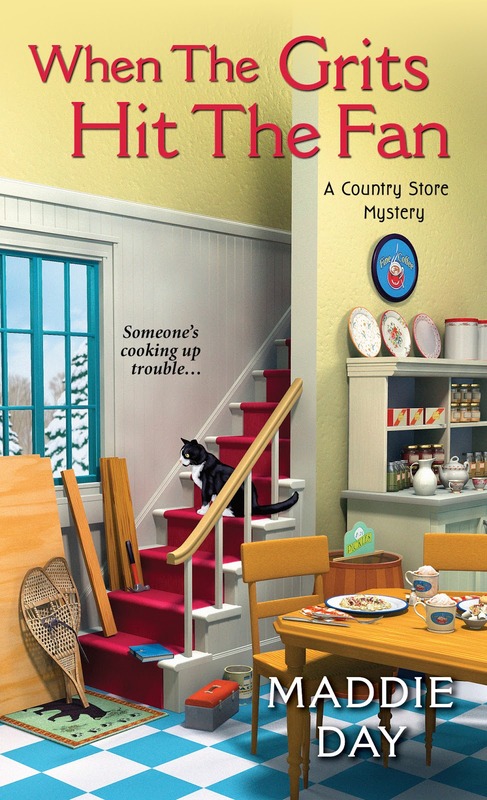 The first book in my Fuchsia Minnesota Cozy Mystery Series, Granny Hooks A Crook, was published and I needed to let people know there was a fantastic fun book about an over-the-top Granny and a fictional town called Fuchsia in Minnesota and it was a mystery to boot. The word I heard from other authors was...blog. I already had my blog Sprinkled Notes which was created because of my columns in the Albert Lea Tribune, but I wasn't using it much. I didn't know the importance of a blog or quite what to do with it. And it seemed easier to write my books than it did my blog. Over the last four years, I have added four more books to my Fuchsia, Mn Series. I also started another series called the Brilliant Minnesota Series and the first book in that series, The Penderghast Puzzle Protectors, was published this year. I also have two children's books in The Granny's In Trouble Series, and I still write my column Something About Nothing each week. I have learned the importance of blogs in book promotion and just to vent and give my opinion on various subjects. One of the best experiences in my career as an author is the bloggers I have met that graciously have authors guest on their blog. I have made many friends this way. When we are a guest on someone's blog, it is much like visiting them in their home. We are respectful of their space and thankful to be there. Sometimes we are interviewed and other times bloggers turn their blog over to us and let us write what our hearts want you to know. They trust we will honor what they have created with their insight. Have you ever hear of a blog tour? 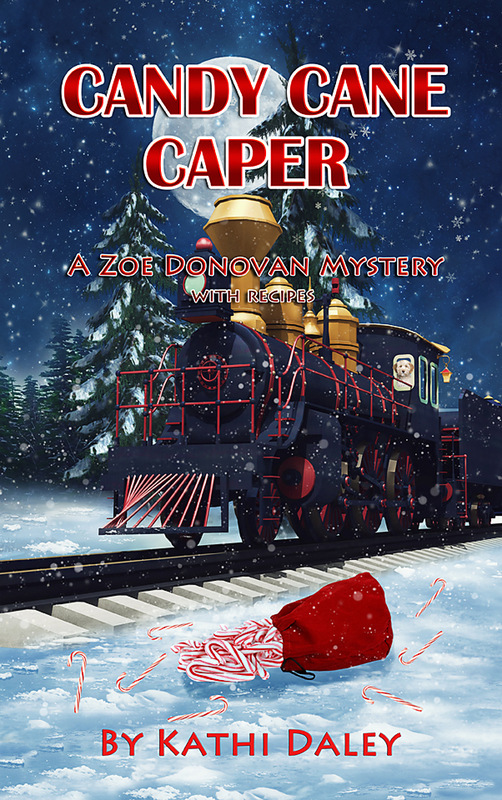 I have traveled and visited many blogs by signing up for a blog tour with Lori Caswell and the Dollycas Tour. When someone told me to join a tour, I was skeptical. I found it is much like traveling in real life. Lori schedules our stops and takes care of all of the details. All we have to do is honor the bloggers wishes on whether they want an interview or a guest post. We take care of what we need on our end; send it to Lori, and she takes care of the itinerary. There are many others out there just like her. 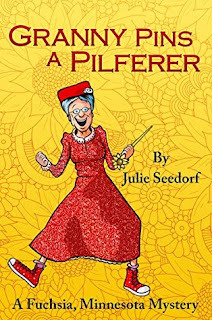 Recently I decided I should separate what I write about because I voice my opinion on many different subjects, so I created a new blog on my website julieseedorf.com. This is where I interview authors; write about my books and writing. My sprinkled notes blog now lends itself to outside subjects including my column and I try and post regularly. Many think the life of an author is taken up with just the writing process, but there is so much more involved. Promotion takes up almost more time than writing. We hope when people read our books and like them they leave a review on Amazon or Barnes and Noble or wherever our books can be found. Reviews and blog comments help us know what our readers want and whether we are fulfilling that need. And last but not least we all want you to know that we love our readers and we love to get to know them. It is one of the best rewards for writing. Join our blogs, read our books or better yet start your own blog and let us know who you are and what you care about. Happy Blog-a-versary to Community Bookstop. Thanks so much for inviting me to the celebration. I must confess right here that book reviewers are my very favorite people, and that is partly because occasionally I am one. Over the years I have written dozens of reviews for Criminal Element, http://www.criminalelement.com/ so I consider myself to be a comrade-in-pages, so to speak. As an author I am totally indebted to the excellent bloggers who read my work and take the time to ponder what they read and write a detailed, thought provoking review explaining what they enjoyed about the book, what they thought of the characters, the plot line, the setting. So often the reviews entice other readers and that makes my heart sing. Once a new book begins to make the rounds of the blogger/reviewers I do have one irrational fear. In every book and short story I write, there is always something, a nugget, a paragraph or two that I hope will excite the reader as much as it excited me to write it. I always worry that a reviewer will recognize that special place and give away its secrets. Fortunately reviewers are a very smart lot and so my fear is always unfounded. 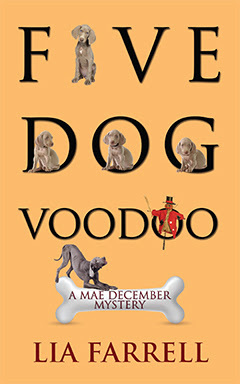 This book follows Lacy Crocker who has come back to New Orleans after living in Virginia with her boyfriend whose now become her ex, building up her animal business was her goal until a murdered victim whom she fought with gets front attention with Lacy in all sorts of trouble with Det. Jack Oliver investigating Lacy trying to figure out who killed Miguel and why? 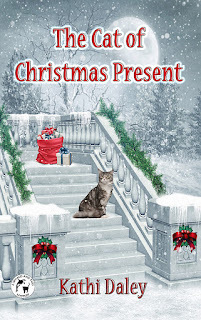 Lacy has her hands full hoping to keep her business and get the murdered solved will she solve it in time or is someone going to end her nine lives? 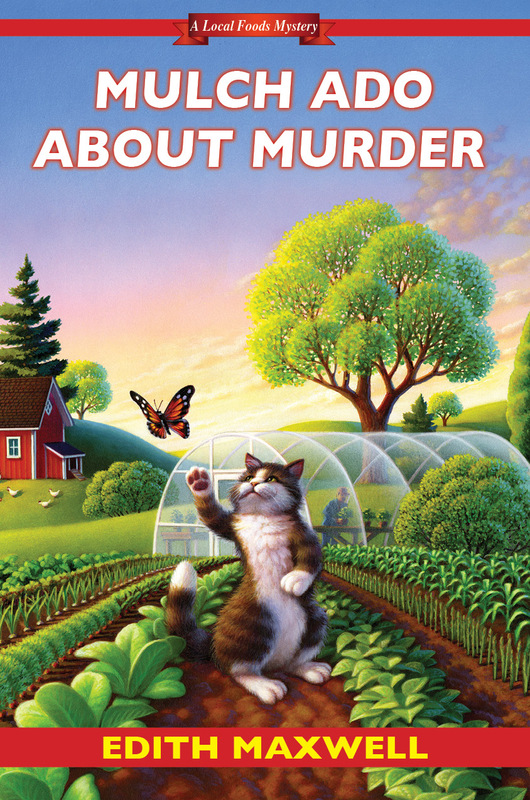 This book had everything mystery, humor and sassiness too boot! 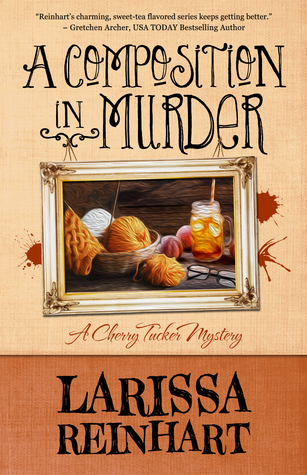 I loved it so much fun to read this story and see what happens to Lacy and whether she finds the murderer in time! I can't wait to see what is next with this series loved it so much!! Do you get as nervous dealing with book bloggers as we do about dealing with authors? I get nervous and excited. I’ve been a reader for my entire life. Since I’ve only been a published author for a little over a year, this is new territory. To be invited to blog about my cozy mystery series on sites that I have been following is surreal. In May, 2016, I attended Malice Domestic, the conference held in Bethesda, MD for lovers of traditional mysteries. I felt trepidation meeting a group of professional bloggers that in many cases can make all the difference in capturing that elusive ‘word-of-mouth’ that sells books. Of course, that was completely ridiculous. Those I met were warm, generous, supportive and – even better – had wonderful words to say. My biggest fear as a writer is that maybe the words won’t come. I write everyday – sometimes a lot – sometimes a little, but absolutely every day. My universal constant is that every morning, I don’t see how on earth I can get those words down on the page. Then, I start typing. Slowly. Very slowly. Then, before I know it my fingers are flying and a miracle has occurred – again. I have written! Bloggers who write reviews offer readers precious gifts—book recommendations. 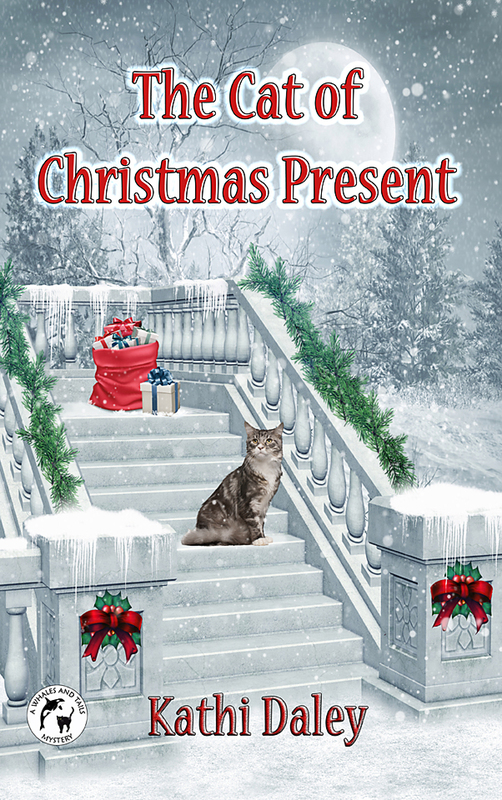 As they present each gift, they must walk a fine line. They have to reveal enough about a book so readers can decide if it’s their cup of tea, but not give away information that might spoil a reader’s enjoyment. The fine line is razor thin for mystery reviewers. Mysteries often contain a big surprise at the end, when the culprit is unmasked, as well as earlier surprises that redirect the crime investigation. Mystery lovers are like roller coaster fans who prefer to ride blindfolded. They enjoy twists and turns more when they don’t see them coming. To cater to those readers, most mystery book bloggers keep plot summaries to a minimum and focus instead on a particular story element. I enjoy reading the unique perspective that each blogger brings to a review. 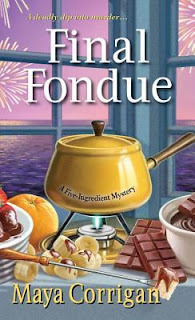 For example, one blogger who reviewed Final Fondue, the third book in my series, discussed the unique location of scary nighttime chase. 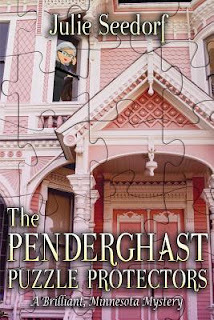 Another blogger liked the Hitchcock parallels in the mystery. A third reviewer remarked on how the book wove in threads from earlier books in the series. Like other writers, I’m grateful to bloggers who review my books and offer me the chance to write a guest post. Thanks for all you do, bloggers! 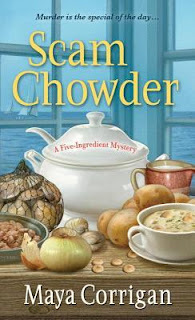 My Five-Ingredient Mysteries (By Cook or by Crook, Scam Chowder, and Final Fondue) feature a thirtyish café manager and her grandfather, who solve murders in a town near the Chesapeake Bay. Each book has five clues, five suspects, and five-ingredient recipes. 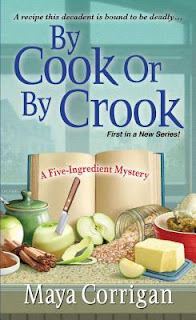 Visit my website for more information about the books and for trivia and quizzes on mysteries: mayacorrigan.com. First of all, let me say how much I appreciate bloggers who do reviews. Sure, I wish they all completely adored each of my books that they reviewed and only said nice things about them. Fortunately, I mostly do receive favorable reviews, but certainly not all the time. And even favorable reviews often contain criticism. That's the nature of honest reviews. They're supposed to convey what the reviewer actually thinks of the book being reviewed. And it's impossible for any author to write such wonderful stuff all the time that everyone who reviews her stories loves every aspect of it. Everyone has different tastes, and that includes readers and reviewers. 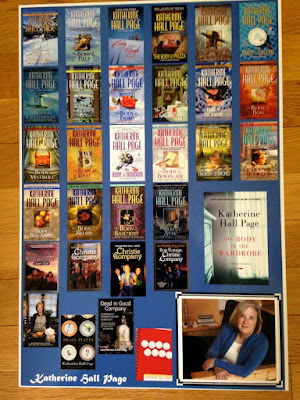 Now, I'm fortunate to generally have several books published every year. I have been doing blog tours for most of my mysteries, which is an always-fun situation where I get to provide blog posts, or do interviews, for some of the bloggers on my tour. Sometimes those same bloggers also review my new book that I'm promoting, as do other bloggers. They all generally receive online galleys from my publisher. Are any paid to do this? None that I know of. No, these wonderful people read possibly hundreds of books each year. They sometimes get access to the books they review without paying for them--but then they provide reviews with no compensation. Then there are other reviewers who go out and buy the books and then review them on their blogs. They don't even get the benefit of a freebie look at those books. Why do they do it? I assume it's because they enjoy reading, and also enjoy letting others know what they did or didn't like about a particular book. We authors don't pay them, and neither do the publishers. But we authors are definitely appreciative, and I suspect our publishers are, too. So right here, let me thank Paula Ratcliffe, from Community Bookstop. 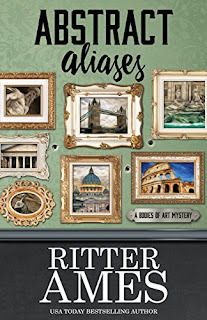 She has sometimes reviewed my books on my Great Escapes Virtual Book Tours. And here's my review of Community Bookstop: It's a wonderful, honest, enjoyable blog! Linda O. Johnston is the author of 44 published novels, including Unlucky Charms, the third Superstition Mystery that that premiered in October from Midnight Ink. 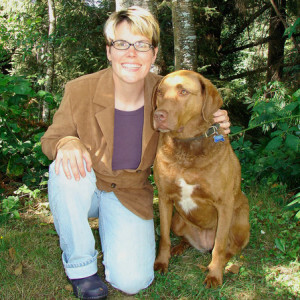 She additionally writes the Barkery & Biscuits Mysteries for Midnight Ink. 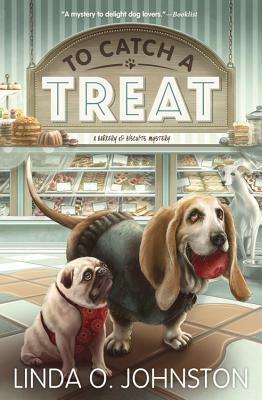 The second, To Catch a Treat, was a May 2016 release. 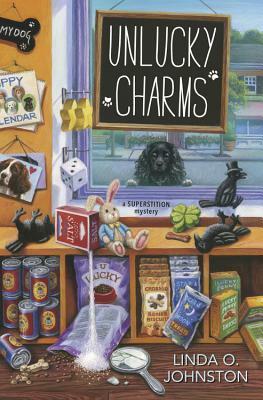 She also wrote the Pet Rescue Mysteries from Berkley Prime Crime which were a spinoff from Linda’s Kendra Ballantyne, Pet-Sitter Mysteries. 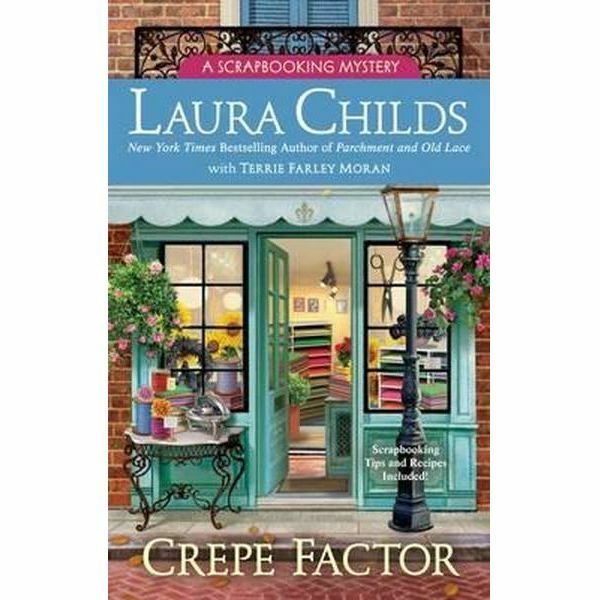 Linda additionally writes for Harlequin Romantic Suspense and Harlequin Nocturne. Visit Linda at www.LindaOJohnston.com, friend her on Facebook. She also blogs each Wednesday at KillerHobbies.blogspot.com and on the 18th of each month at Killer Characters. I’m sure many authors remember their very first review. I know I do. It came from a Canadian reader who not only gave me a five-star review on Amazon US, but added one on Amazon Canada too. When you’re a new author and trying to build a fan base from scratch, those first reviews offer an emotional high that is probably only topped by the actual release of the book. You simply cannot believe your luck that someone you’ve never met not only likes your book, but is happy to tell the world about it. at least they did mine. But primarily, reviews were the best way to get readers to take a chance on a new author and a new series. Seriously, there’s like a tsunami of books that hit the release racks each day—print and ebook—and it’s too easy for new authors and releases to get drowned in the next wave. Reviews are kind of like the driftwood a book can latch onto in the deep water. If several come by, a raft can be made to help the book float to the top of the wave, so readers have a better chance to see it and add the title to their shopping carts. Before my first book was published, I knew how important reviews were simply because I love to read, do it as much as I can. Reviews helped me decide which authors and books to try now, and which to save for later. I read the glowing reviews, sure, but I also read the negative ones, because I found that often the very reason(s) another reader didn’t like a particular book was exactly the reason I knew I would. Even today, with two mystery series, five novels published, four more novels in the editing stage, and two anthologies I’ve contributed to, I still wait for that first review. And the fifth. And hopefully the fiftieth. Because it really does take about fifty before booksellers like Amazon start paying attention to new titles unless the sales have gone through the roof—and often the sales go through the roof when the book has a lot of reviews right away. And that first review by that first reviewer? Well, I’m happy to say she’s still one of my fans, was even a charter member of my street team when the group formed and is still a valued member. I’ve received hundreds of reviews since the very first one, but I’ll tell you, I still smile every time I go back and read the first one again. Bodies of Art Mysteries -- Counterfeit Conspiracies, Marked Masters. Abstract Aliases is Available Now! November 24 – THANKSGIVING U.S.
People sometimes ask me why I write fiction, and one of my answers is always, “Because I can’t not.” But one of the most important reasons is to delight readers. I absolutely love when fans tell me they fell into my story and stayed there, staying up too late, turning pages, until they finished reading the book. I fist pump and say, “Yes!” One woman wrote to say she brought one of my books along for a hospital stay, and it was the only thing that got her through the days of treatment. Another said she was buying the book for a friend, who needed a spot of entertaining reading to cheer her up. Readers liking the book enough to go one step further and post a positive review makes me even happier. They are spreading the word to potential new fans, and also helping the author with those mysterious Amazon things called ranking and sharing algorithms. 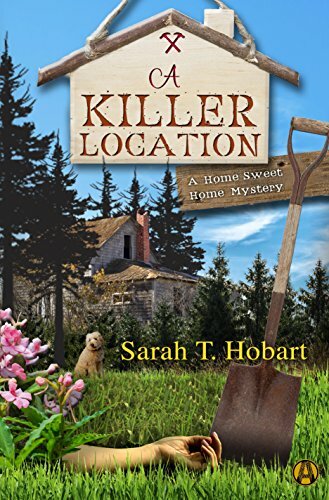 Of course I love to receive a positive review from book bloggers and reviewers for publications like Library Journal and Mystery Scene, too, and those have wider visibility. So, thank you, readers and reader/reviewers! I couldn’t do it without you. 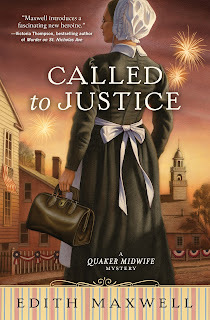 Agatha-nominated and bestselling author Edith Maxwell writes the historical Quaker Midwife Mysteries, the Local Foods Mysteries, and the Country Store Mysteries (as Maddie Day), as well as award-winning short crime fiction. 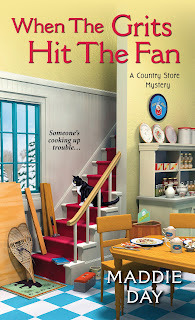 Each series releases a new book in spring, 2017: When the Grits Hit the Fan is a Country Store mystery (March); Called to Justice is the next Quaker Midwife mystery (April); and Mulch Ado About Murder is the fifth Local Foods mystery (May). The Vice-President of Sisters in Crime New England, Maxwell lives north of Boston with her beau, three cats, and an impressive array of garden statuary. 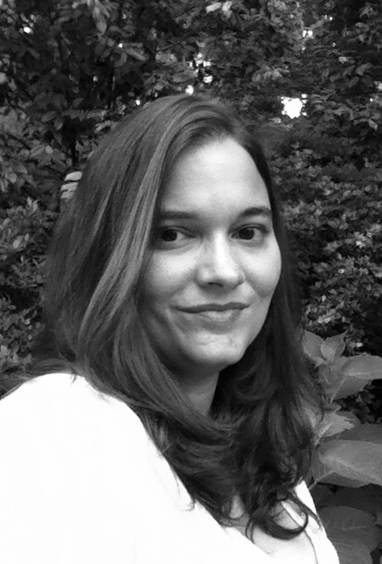 She blogs with the Wicked Cozy Authors, at Killer Characters, and with the Midnight Ink writers. This book follows Cherry Tucker who as anyone whose read the Cherry Tucker Mysteries knows has crazy things happen all the time. This time Cherry gets tasked with witnessing a will. The following day when she arrives at Halo House she gets called back to Belvia Braeman who wants Cherry's non-painting skills. A lot of weird things are going on Belvia's daughter died but of course Belvia thinks there is something more to it. Who killed Belvia's daughter and is the killer on a murder spree? Then of course there is the really crazy old timers at Halo House who definitely need Halo's to keep them more innocent then they appear! I love Cherry Tucker, her friends and family they are so passionate and caring well unless you are a Branson. Of course in Cherry's case that is difficult as she is dating Deputy Luke Harper a step-Branson. 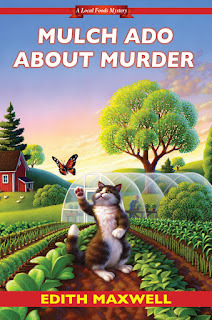 Which only adds to the situation in this book, between solving the mystery and trying to save her brother Cody who made a dumb mistake and sits in jail for it. Can Cherry save her little brother or are the Branson going to win? I mean seriously some of this stuff is so crazy but a good crazy that always drags me back to Cherry's world to see what is going on now! Can't wait to see what is next for Cherry, and her friends and family! 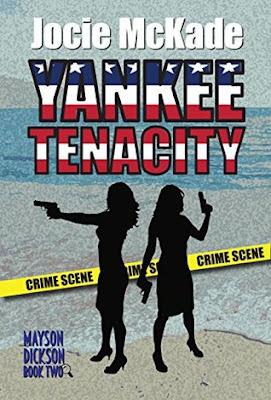 This book follows sisters Emme Mayson and Jackie Dickson who are still trying to find out the truth about their parents but right away they find a dead body as one crahes into their truck dressed in a kilt. Add to this the fact that there seems to be alot of mystery behind this guy who killed him and why? I love this series as the two sisters are independent and are still getting use to one another without killing on another, and finding out what their parents were into. Then adding the Special Agent into the mix who keeps covering for the girls and intrique definitely follows! Can't wait to see what is next with these girls and where it will lead them! Juliet's personal and professional lives have recently received an extra jolt of energy. Her romance with the hunky detective Ryder Hamilton continues to simmer, and business at Java Jive has never been better. 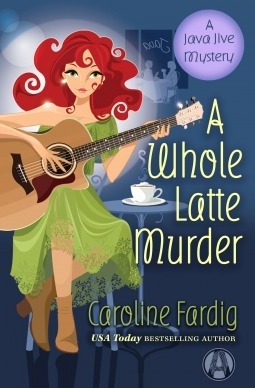 But her good mood quickly turns as stale as day-old espresso when she finds out that Ryder has been promoted to his precinct's homicide division. With him risking his life to catch the worst kind of criminals, Juliet's growing sense of unease ignites when a local college student goes missing. Suddenly every Nashville resident is on high alert, especially Juliet's neighbor Chelsea. Juliet does her best to calm the girl's nerves, but her worst fears are confirmed when she finds Chelsea dead. Even though she tries her best to stay out of it, Juliet's involvement puts a strain on Ryder's first homicide case. The situation soon becomes even more personal for Juliet and her best friend Pete Bennett when one of their employees disappears during her shift. As a killer lurks in the shadows, Juliet, Pete, and Ryder seek out a double shot of justice. 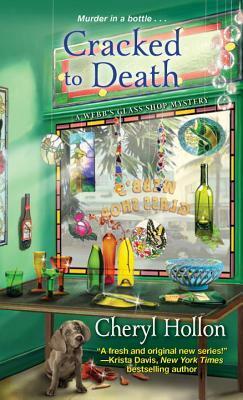 This book follows Juliet Langley who seems to have a knack for finding dead bodies. 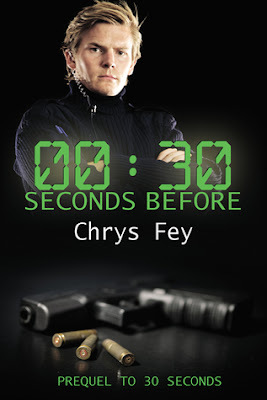 In this one there is a serial killer on the loose and the women in town fear for their safety when Juliet brings a scarf to Chelsea she finds her dead and with her boyfriend one of cops in charge of finding out what happens it causes Juliet to worry about Ryder's safety. I heat gets put on when an employee of Pete's goes missing during her shift! This book was full of adventure some humorous situations kind of a scratch your head that they don't get caught butting in. As the book pulls you in your really find you want to catch the killer as much as everyone else. Can't wait to see what is next in this series! 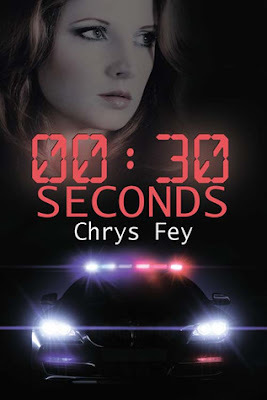 This is the prequel to 30 Seconds in this one we follow Blake Herro a cop with the Cleveland Police Force who is determined to find out who killed 10 cops and bring the bad guys down what he didn't count on was going undercover with the Mob. After reading 30 seconds it's interesting to see what happened before those events and how Blake dealt with the cop murders. Definitely caught my attention this was a great novella that delved on the mob and Blake getting close to them. Can't wait to see what Ms. Fey writes next! This book starts out with Dani Hart heading home after work looking forward to sinking her teeth into some ice cream. What she didn't count on was Officer Blake Herro putting Dani into danger and having to take her away from her home and to somewhere safe from guys that want him dead convinced he's a Dr. Hart. This book was alot of fun between the romance brewing between Dani Hart and Blake Herro, running from the bad guys and learning about each other it was definitely a great ride. I think anyone who loves adventure, suspense a thrill ride to say the least! Hi, my name is Ani Gonzalez. 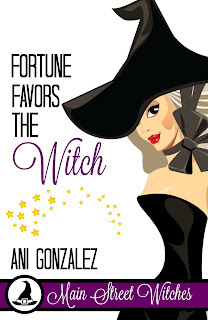 I write paranormal romantic comedy and cozy mystery and Community Book Stope has kindly agreed to host the book tour for Fortune Favors the Witch, the second book in my Main Street Witches cozy mystery series. Main Street Witches is a spin off of my haunted town romantic comedy series, Banshee Creek. Three witches head to America’s Most Haunted Town to open up business and find romance and mystery along the way. The series was inspired by my love of all things witchy (just like Banshee Creek arose out of my enthusiasm for all things haunted). As a writer, I find inspiration in popular cultures, and I often end up writing the story I want to read, but can’t find anywhere. In this case, a witchy romantic mystery with tons of obscure paranormal detail (in this case UFOlogy, cartomancy, and astrology). Books are a huge influence on me, on here are some of the stories that inspired and/or influenced the series. 1. The Witch of Lime Street: Séance, Seduction, and Houdini in the Spirit World. Victorian spiritualism at its best. Great book. Did you watch the Houdini and Doyle television show? If you liked that, you'll like this book. Fortune Favors the Witch is inspired by this story. 2. Hallow’een Party: A Hercule Poirot Mystery. A Halloween-themed Agatha Christie mystery? Sign me up! I loved this book, and the fish-out-of-water theme and the small village atmosphere influenced my series enormously. 3. A Season With the Witch: The Magic and Mayhem of Halloween in Salem, Massachussetts. A writer spends a Halloween season in the witchiest town in the world. This was one of my Banshee Creek research books, and it’s fantastic! 4. Ghostland: An American History in Haunted Places. Another research book. Excellent work. 5. 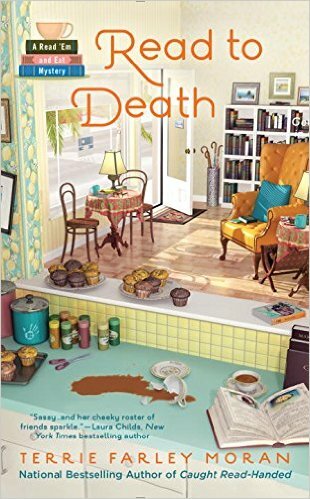 Rosemary Edghill’s Bell, Book, and Murder – A witch detective solving murders in Manhattan. I loved the quirky protagonist and the realistic view of neopagan life in New York City. 6. Anne Rice’s Mayfair Witches – A witch family, a New Orleans manor and a mischievous spirit. This was the book that started my love affair with magical houses. The plot turns into mush toward the end of the series, but the atmosphere is fantastic. 7. Jane Crowcroft’s Witch Love – This is a crazy 1970’s tale of time-traveling witches. It’s terribly outdated, of course, but it was my first foray into witch romance and I still remember it fondly. 8. 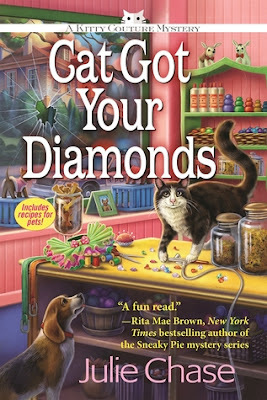 Mary Janice Davidson’s Queen Betsy series – One of the first (and still one of the best) humorous paranormal series out there. These were the books that taught me that paranormal stories could be laugh out loud funny.